Whatever you call it, this is a cool boat, and not just for fishing (though it must be a blast to play a big one from that low throne). After four marine events (and three round trips to Florida) in five weeks, I&apos;ve toured or ridden a lot of nice boats or at least interestingly equipped ones. But some solo time on a Hobie Mirage Pro Angler 14 during the Navico writer&apos;s event at Hawk&apos;s Cay easily stands out. 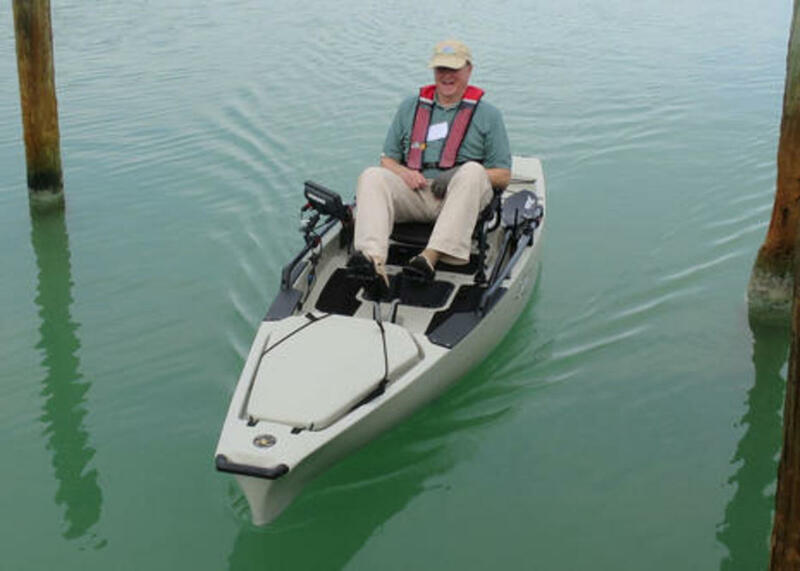 I think the design is only filed in Hobie&apos;s kayak section because "fishing kayaks" have evolved so fast a better category name hasn&apos;t emerged yet, and that thought doesn&apos;t include the unusual Mirage pedal-to-fin propulsion. Whatever you call it, this is a cool boat, and not just for fishing (though it must be a blast to play a big one from that low throne). One area I&apos;m particularly good at testing these days is small boat accessibility by a stiff and paunchy geezer with various impairments like a titanium hip and recent hand surgery. 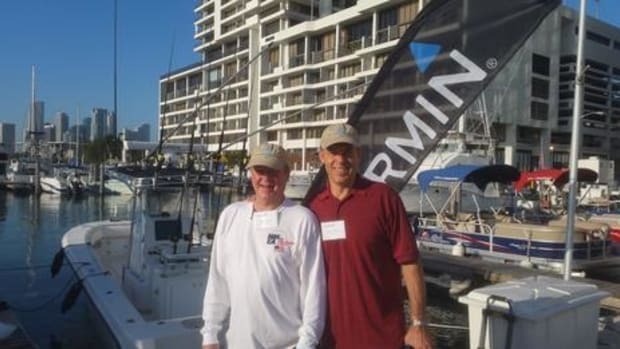 The Angler Pro 14 passed with flying colors. I could pretty much get in and out of it by myself on my first try, and I think I&apos;d soon be comfortable standup casting. You can see why in the photos above; the Angler has a stable tri-hull underbody along with the lateral resistance of a substantial skeg and rudder (both of which you can pull up or down with control lines in the cockpit). Meanwhile, the "Lowrance Ready" designated center plate protects a wet transducer pocket purportedly able to fit even the new TotalScan triducer. But before we get into the remarkable electronics possibilities, note how the Mirage drive fits in a daggerboard-like slot. 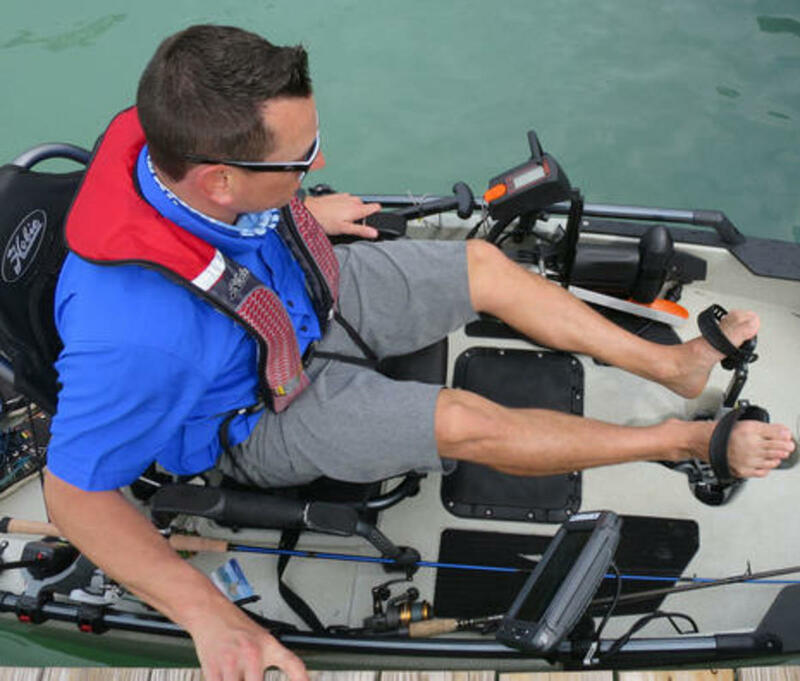 In fact, the pedal drive cassette can be easily popped out of the slot and even replaced with the Torqeedo-made electric Evolve drive seen just past the leg of Lowrance product manager and longtime yak fishing geek, Lucas Stewart. So sometimes we&apos;d see Lucas zipping around with the Evolve throttle in one hand and the rudder lever in the other while comfortably ensconced in that Barcalounger of a "kayak" seat, and he also had the reverse mode which the pedal drive lacks (hence the paddle for close quarters manuevers). 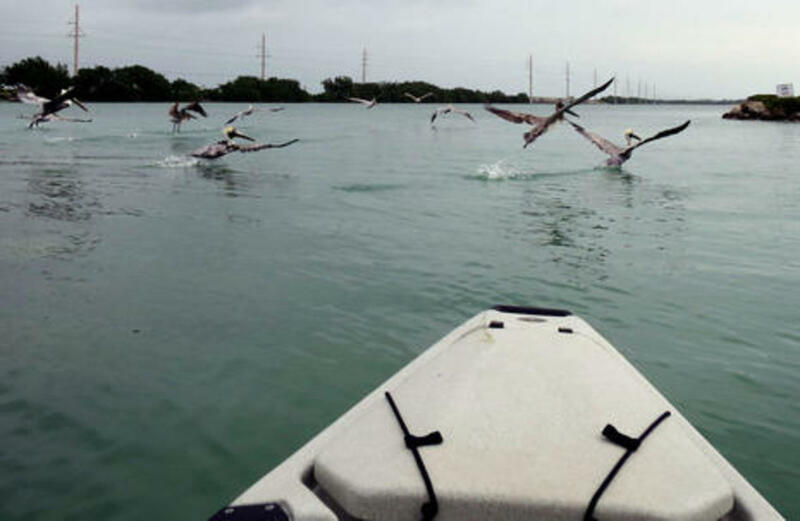 Stewart does worry that the whirring noise typical of Torqeedo&apos;s permanent magnet motor will spook fish, but a Torqeedo representative in Miami told me that some of their kayak fishing pros think the whir attracts them instead. There are lots of pro yakkers now -- check out the huge Hobie team -- because the sport is apparently growing rapidly. I get it. 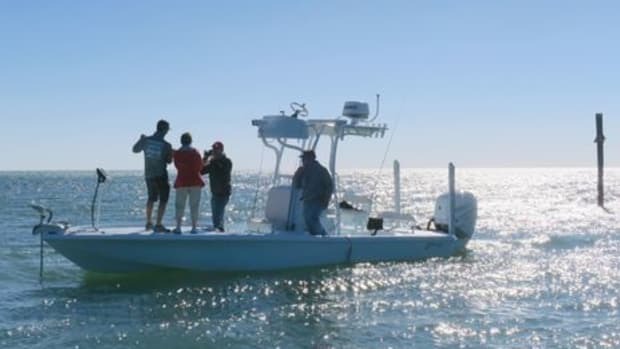 A boat like the Pro Angler gives you a quiet, low, forward-facing intimacy with fishing and nature that&apos;s kayak-like but a whole lot more comfortable. I enjoyed simply putzing around Duck Key -- sightseeing and photography could be as fun as fishing -- and was also pleasantly surprised with how efficiently powerful the Mirage drive is. I could easily pedal/flap into a stiff wind and even passed a regular kayaker (not that we were racing). 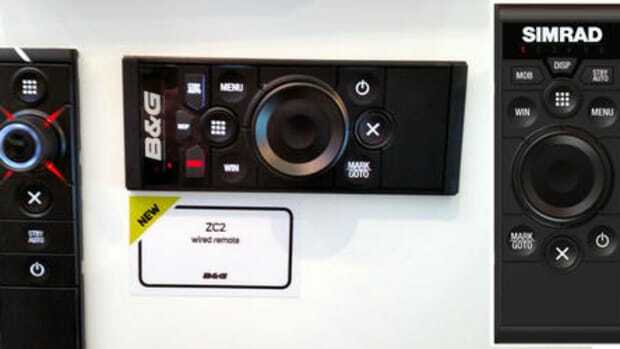 Moreover, the Pro Anglers (and probably their competitors) are designed to accommodate all sorts of gear and gadgetry. 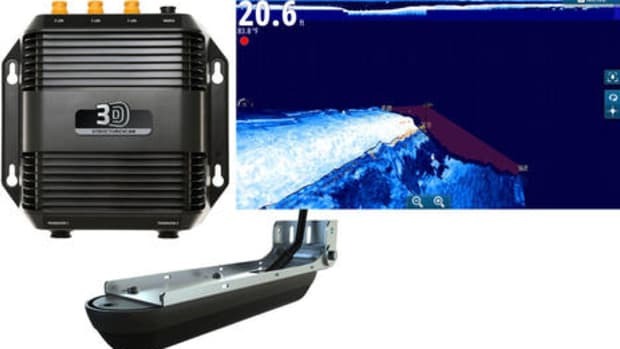 So installing that Lowrance Elite-7 Ti is relatively easy with the H-Rail sliding mount system and built in cable chases to the transducer and to the waterproof locker where the battery is stowed. And, wow, here I was pedaling along with a bright and able touchscreen chartplotter/fishfinder at hand. 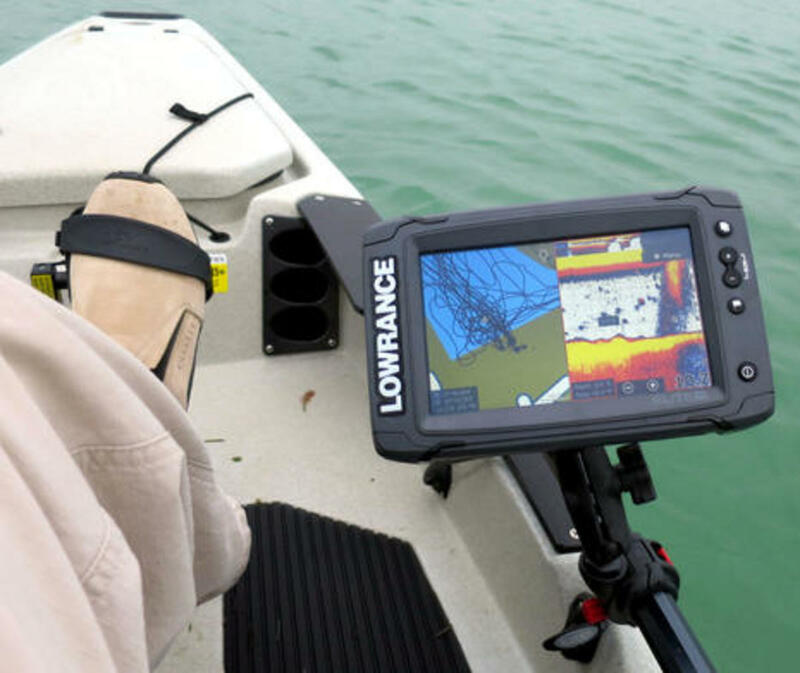 I have not used a Lowrance display recently, but the Elite Ti offers a lot of the same features and interface niceties that I&apos;ve watched evolve into the Simrad NSS evo2 series. 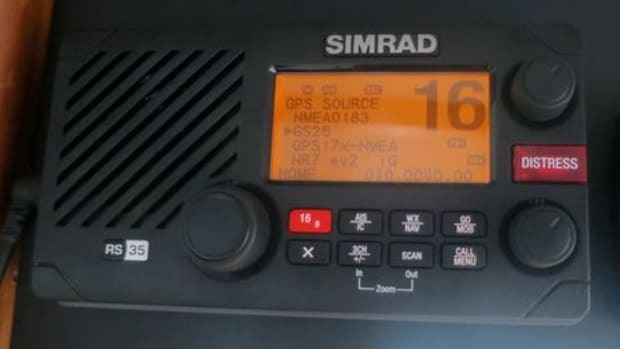 You can use multiple cartography formats, for instance, including paper-like raster charts and/or satellite photo maps, and if my demo Hobie had had a TotalScan transducer, I would have had access to StructureScan as well as DownScan and CHIRP sonar. 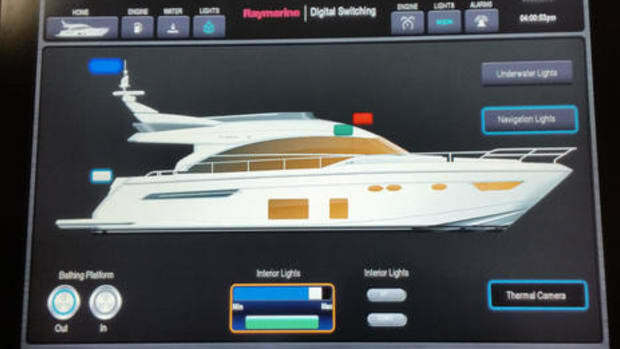 The Elite Ti has built in WiFi, too, so I could have been uploading sonar logs and/or downloading processed Insight Genesis charts right at the dock (or more likely when the boat is on its trailer back at the house). 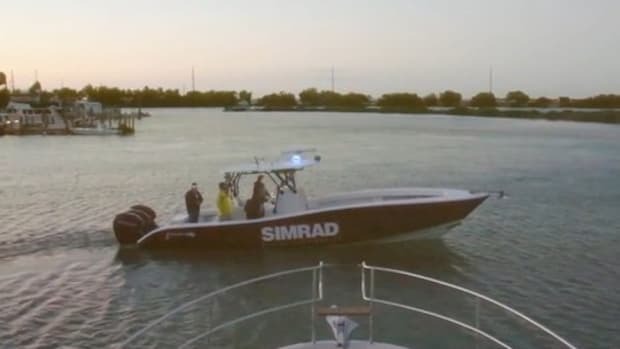 So add easy hydrographic survey to the list of things this rig can do. They say that kayak fishing dates back to Inuits with skin boats and harpoons, but this is certainly something else. 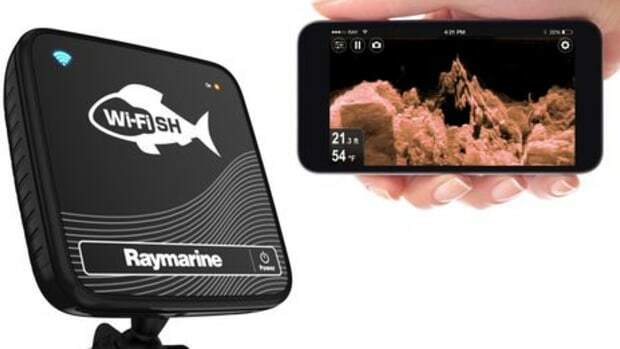 One NSS feature that Lowrance owners may covet is the TripIntel that came with the NSS evo2 3.5 software update in January. The main page above displays a smart mix of information you might value underway, like the local tide level and a graphic fuel range circle based on current mpg and tank levels. Long term stats are being kept in the background, but it&apos;s also easy to stop a trip and save its data to a history page where it and other trips can be quickly called up by date. That&apos;s when you get the tidy trip log page below (which I happened to capture on an iPad using the GoFree Controller app). I think this is a neat feature as is, but it also seems ripe to easily enable off-boat logging. 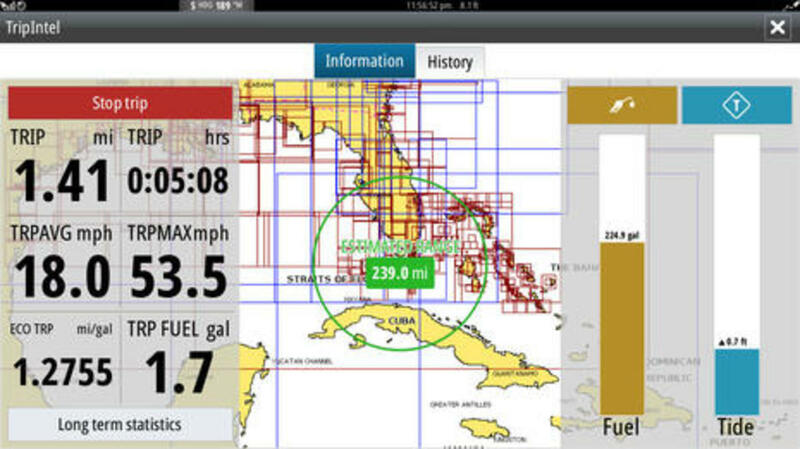 Couldn&apos;t this GoFree app or another collect the TripIntel data and track screen for later reference and/or to upload it to a full-bodied website like BoatLogger? Actually, couldn&apos;t an NSS evo2 display automatically upload TripIntel files to the Cloud whenever it&apos;s online via marina WiFi or your phone? 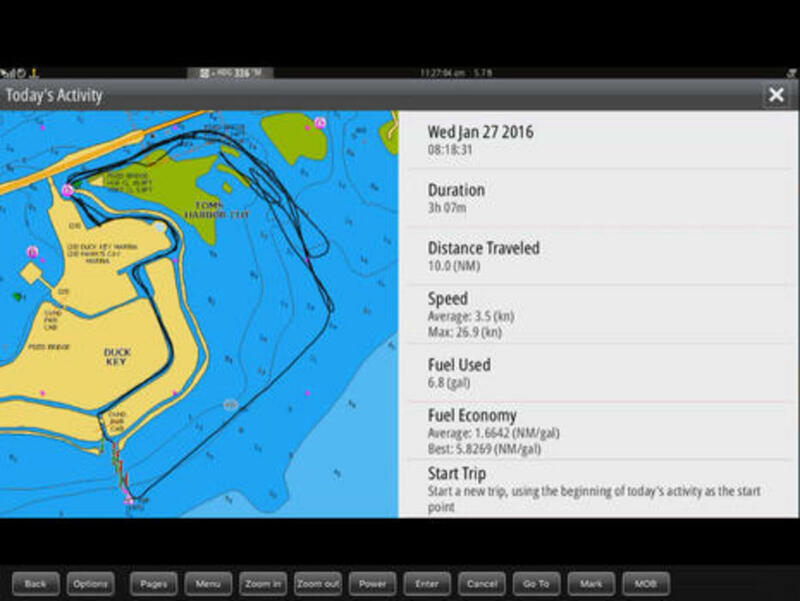 And if TripIntel can collect the data we&apos;re seeing on these screens, couldn&apos;t it also save info that might enrich online cruising and fishing logs or help with maintenance? 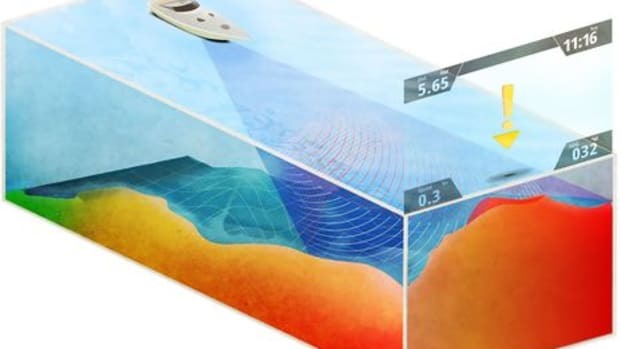 I really do not know what Navico&apos;s GoFree team is up to in this regard, but I gather they&apos;re working on numerous projects and TripIntel seems to suggest interesting possibilities.